A leotard full of movement whilst giving you ultimate elegance and appeal. 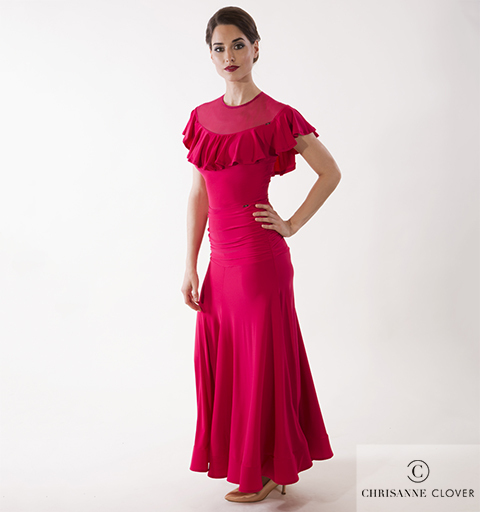 A gorgeous frill runs all the way around the top in CHRISANNE CLOVER Luxury Crepe with Stretch Net finishing off the top of the leotard, for a dynamic look with security knowing the off-the-shoulder look will always stay in place. The key hole back allows for easy dressing and an added design feature. Available in 3 sizes.